← Non genetically modified, indigenous crops like these colored potatoes prevent diseases and are tastier! evo’s disgraceful demagogue ended up costing us over 1.5 billion dollars! The Bolivian State must pay around $1,500 million dollars for 12 international arbitrations, verified in the Court of Arbitration and Conciliation of the National Chamber of International Commerce of Paris and before the United Nations Commission for International Trade Law (UNCITRAL). According to data provided by the deputy of UD, Wilson Santamaría. Given this, the legislator issued a written report to the Attorney General of the State to answer and explain how the State faces these cases. At the same time he observed that the economic damages to the State that are within the framework of the payments as a result of the “nationalization”, are greater than the alleged crime attributed to former President Carlos Mesa in the case of Quiborax, a process that was filed with the International Center for Settlement of Investment Disputes (ICSID) of the World Bank. 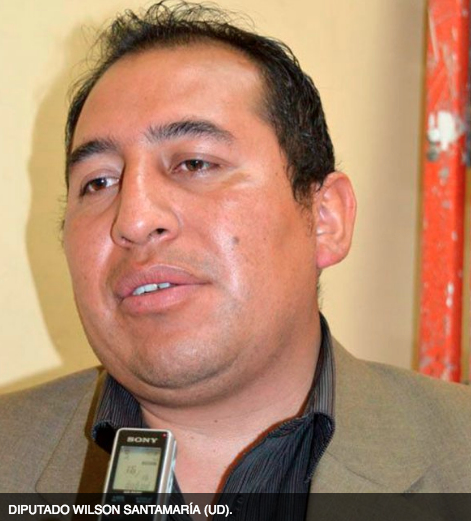 “With the government of President Evo Morales we have much higher debts, more processes, there is no such nationalization. In reality, what has happened are processes for the purchase of the shares that pass through a conciliation space in order to renegotiate the amount. In these 12 cases the State must pay $1,500 million dollars,” said the legislator. This entry was posted in Bolivia, Business, Economics, Politics, Social Unrest and tagged bad politics, corruption in public office, demagogue, government failures, Ochlocracy, public policy failures. Bookmark the permalink.